For those of you who don't know the call of God on my life, let me explain it to you. God in His grace has shown me that He used all of the Older Testament scriptures to paint a picture of His Son Jesus Christ, His Bride and Kingdom. The Old and the New have to agree on Truth or they couldn't walk together side by side. Amos 2:3: Can two walk together except they agree? The Father, Son and Holy Spirit walk in agreement as Jesus told His followers to walk in agreement. The two Testaments also walk in agreement. Their agreement is that they both are a revelation of Jesus Christ, the Son of God, who is the Savior and King of the world. God designed His Word like He designed creation – in order. He gave us clues to this design in 1 Corinthians 15:46, “The spiritual did not come first, but the natural (earthly), and after that the spiritual.” Since God doesn't go against His Word, God also designed His Word to show the spiritual in the natural first. Jesus, who is God, too used the things of the earth to teach spiritual truth throughout the Newer Testament. The Older Testament scriptures had the Truth of Jesus, His redemption and His Kingdom hidden within their midst. Why? God and His ways don't change! Jesus is not only the fullness of the Godhead bodily (in the flesh), He is also the fullness of Truth/Word of God. He was the Word of God in Genesis 1:3 that spoke all things into being! The Law came through a servant, but grace and truth through a Son—the Son of God Jesus. Jesus became the Law in fullness to fulfill it making it eternal in Him. Once God has spoken His Word it can't be destroyed. Jesus had to fulfill the Law fully to set people free from its penalty of death for disobedience so His followers could walk in His Law of love. After prayer and meditation, I believe the Lord wants His people to hear the message of Ezra and Nehemiah. I will do a continuing teaching on these two men who had a burden for the condition of God's people, the Temple and the walls of protection around the city of Jerusalem--God's chosen dwelling place. It is a today message for the Body of Christ. Since God uses the earthly (natural) to paint a picture of the spiritual, Ezra and Nehemiah are a picture of Jesus as Priest-King who came to earth to correct the distortion of truth, die for sin and rebuild His Temple in living stones (people from every nation, tongue and tribe). Jesus is the spiritual fulfillment of both Ezra and Nehemiah. After returning to God through Jesus, He wants to fill us with the power of the Holy Spirit and teach us His Word so we will worship Him in spirit and in truth. Jesus will also use us to help others to do the same. Jesus by the power of His Word and Holy Spirit will rebuild the wall of protection around His Temple--the hearts of His people. He will make our hearts of stone into hearts of compassion. The city of Jerusalem and the wall and gates around Jerusalem also had to be repaired. The gates of Jerusalem at the time of Nehemiah had “natural” names that illustrated Jesus and our progressive, spiritual walk with Him. I will teach the meaning of those gates in the next teaching. The reason why these names are written over the gates into the city of the holy, New Jerusalem is because they reveal the message of Jesus Christ who is the only way into the presence of God in His holy City. Paraphrase: “Behold a Son, who hears God and is joined as One with God. He will be praised and will vindicate us for our guilt and sin. He will overcome the evil one and make us overcomers. He will bless us and fill us with joy and will be our exceedingly great reward. We will dwell together with Him and He will make us fruitful. He is the Son who was exalted to the right hand of the Father at the Heavenly throne.” Jesus is also the pearl of Great Price that is the door into each of the gates in the New Jerusalem. Jesus told a parable about the pearl of great price. He and His Body is that pearl! There is no other way into the presence of God except through the Body of Christ. The twelve names of the tribes of Israel begin and end with a “Son.” Jesus said, “I am the First and the Last; the Beginning and the End.” We who love and serve Jesus will all be Israel because we will all – both Jew and Gentile – be “those who strive with God" and "princes with God." Israel means "one who strives with God." Israel is the name given to the transformed, spiritual Jacob who would birth Israel through his twelve sons from his Jewish wives and Gentile concubines-- Jew/Gentile! During the age of grace and truth, Jesus, like His Heavenly Father, will also work through a faithful remnant as Ezra and Nehemiah did. As the Heavenly Father began with the 12 sons of Jacob to establish His earthly, spiritual nation of Israel, Jesus began with twelve Jewish apostles to fulfill scripture and begin building His spiritual temple on earth in the hearts of His disciples. Salvation had to come through the Jews as it was prophesied in the Older Testament. God chose Abraham, Isaac and Jacob. The 12 sons of Jacob were made leaders of Israel through heritage, but Jesus chose His apostles to be the foundation stones of His spiritual Temple on earth and in heaven built in the hearts of His followers. (see John 6:70) Jesus told His disciples, “You did not choose Me, but I chose you and appointed you to go and bear fruit – fruit that will last.” John 15:16 In other words, eternal spiritual fruit. Jesus does the choosing, not man, so we cannot boast. The Israelites were not chosen because they were good! They were chosen by God's grace just like all who follow Christ are. The Gospel of Matthew says, “Many are called but few are chosen.” 22:14 In John 13:18, Jesus says, “I am not referring to all of you; I know those I have chosen.” Jesus does the choosing and knows those He has chosen! Jesus was not seen in His resurrected body by all of the people, but only to His chosen ones. Acts 10:41: (Peter, the Jewish disciple of Jesus speaking at the gentile Cornelius's house) “He was not seen by all the people, but by witnesses whom God had already chosen – by us who ate and drank with Him after He rose from the dead.” Jesus knows His chosen ones. Those who eat the bread of the Word and drink the water of His Holy Spirit and wine of His blood are Christ's chosen ones. The more we eat His Anointed Word, the better we know Him and His ways, and the more abundantly His life and ways are in us. God did the choosing in the Older Testament also. Paul said in Acts 13:16, “Men of Israel and you Gentiles who worship God, listen to me! 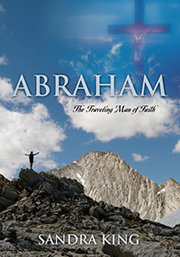 The God of the people of Israel chose our fathers........” Abraham, Isaac and Jacob are the spiritual fathers of Israel. These men were not chosen because they were sinless or above anyone else but because God gave them grace and would be with them to lead, guide and help them accomplish His goal through their lives. God saw the hearts of those He chose to work through and knew their end from their beginning. He knew that He could work through these chosen ones because in spite of their fleshly ways, they had a heart for God and spiritual things. Brothers and sisters, it is time that we—both Jew and Gentile—lay down our pride of chosenness and give God, Jesus and the Holy Spirit the glory and honor due only to them. We are saved and chosen by God's grace and mercy alone – no matter what nation we are from – through His precious and chosen Son Jesus who freely and willingly shed His sinless, pure and perfect blood to save us from the wretchedness of our flesh. When we understand fully our filth and the love that God showered upon us through His Son Jesus in spite of our filth, we will understand the depth of that love and will humble ourselves before His wonderful gift of love and grace and understand the glory that is due Him. The Law and the Prophets didn't die for our sin, Jesus the fulfillment did. Jesus showed the heart of the Father toward humanity – all of humanity-- on the cross. He wants us to understand the enormity of the love and heart of God displayed on that cross, and because of it, have the same heart for God, Jesus and the Holy Spirit and others. Ezra and Nehemiah had a heart for God – His set apart city of Jerusalem, His temple and His people. God will be with Ezra and Nehemiah and their leaders and laborers as they restore and rebuild the ruins of His City, His temple and His people. Ezra will retrain and teach God's people the Truth. Nehemiah will lead the builders and encourage them. They will work together as priest and ruler to accomplish the task. Jesus and His Holy Spirit do this in the hearts of His people today. Eventually, Nehemiah will be exalted as ruler over God's city of Jerusalem. Jesus did and became all that Ezra and Nehemiah did in the natural, earthly realm, in the spiritual realm. Those who follow Jesus are to be a kingdom of priests and kings -- a royal priesthood. Ezra-- scribe and priest who is well-schooled in the Word of God who will lead a remnant out of captivity in Babylon into God's Promised Land. Ezra gained the favor of the king in order to leave Babylon and complete His God-given task, just as Christians earn the favor of King Jesus when we leave the place of wickedness and captivity (Babylon) for our journey with Jesus into the Heavenly Promised Land. Ezra, the priest, will lead this faithful remnant out of Babylon, back to God and into confession of their sin against God and mankind. Ezra will also bring this faithful remnant back to God's Word and teach them. He will restore true worship in the Temple of God. Ezra will appoint 11 other leaders to help him in his God-given task for a total of 12. God will use Ezra and these 11 leaders to restore Divine Truth and Government in God's Temple and Kingdom. Returning to God and His land (boundaries), confession, teaching of the Word, and restoration of God's Temple and true worship must be first. Then the Lord will use Nehemiah and his faithful remnant to rebuild the wall of protection around Jerusalem—God's set apart city and the dwelling place of His shekinah glory and temple. Jesus and the leaders of His Body – Temple – are to do all of what both Ezra and Nehemiah did for this remnant of Jews from the Tribe of Judah. Jesus is the Seed of God, but in His flesh He descends from the tribe of Judah. As the Jews had to cooperate with their leader Ezra, followers of Christ must cooperate with Him as He transforms us from the inside out through the power of His Anointed Word of Truth. Nehemiah – ruler/leader who will repair the wall of protection around God's holy city of Jerusalem that had been torn down and pretty much destroyed. Without this wall of protection, any enemy can come against it. Jesus wants us to study His Word and do it so we have a wall of protection around our lives and hearts so no enemy can come in to steal, kill and destroy. Like Ezra, Nehemiah also received the favor of the king to go and perform this task. Christians walk in the favor of King Jesus in order to perform His purpose for our lives. Nehemiah was the king's cupbearer who tasted the king's wine to make sure there was no poison in it. In other words, Nehemiah was the king's faithful servant! Followers of Christ must be sure that we are drinking the wine of pure Truth, not the poison of false teaching. Because Nehemiah was at the king's table, he had the king's ear. This is also true of King Jesus. Those who sit at the table of Jesus – His Anointed Word – and learn of Him will have His ear. Jesus said in John 14:13-15, “Whatever you ask in My name, that will I do, so that the Father may be glorified in the Son. If you ask anything in My name, I will do it. If you love Me, you will keep My commandments.” Obeying Jesus and His Word makes us holy vessels for His service. Nehemiah was faithful to his charge. Nehemiah willingly went to God's city of Jerusalem to gather laborers to rebuild the ruins of the wall and gates around God's city. Jesus also willingly gave up His place in glory to come to Israel to correct the distortion of His Truth, shed His blood for sin and rebuild His Kingdom in the hearts of His followers. He was faithful to that charge and completed it. Jesus said, "It is finished." Nothing is to be added to His finished work. Because of Nehemiah's faithfulness to God, His people and His city, the king exalted Nehemiah as Governor/ruler over Jerusalem – God's holy city. King Jesus was also faithful and true to His charge and was exalted to the right hand of the throne of God to rule and reign over all. He will come again as King of kings to rule over His people from the city of Jerusalem in the earthly realm as well. Nehemiah and his faithful laborers will not only repair the wall of protection around God's dwelling place, they will also repair the gates into this city of God. These faithful, courageous laborers will not only repair and rebuild, they will have to fight off those who oppose them and want to abort the work. All, Jew and Gentile, male and female, bond-servant and free will work together as one to accomplish the rebuilding of the wall and gates and fighting off anyone who comes against them. This teaching on Nehemiah will be continued. There are many important truths in this Older Testament book that speak to the condition of the Church of Jesus Christ and His people today because it is a picture of Jesus and His Church, and the repairs needed to make it more powerful and able to overcome the enemies of the souls of humanity.